This roasted pumpkin seed recipe is sweet, simple, and delicious–a perfect fall afternoon snack. 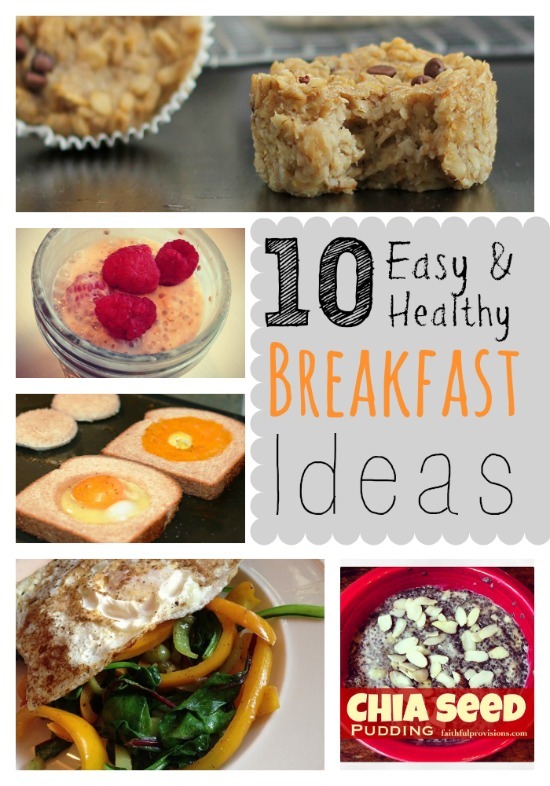 The kids and I look forward to making these, but they never last very long! Around here these lasted about as long as it took them to cool. Whether you’re carving your pumpkin or roasting it to use in fall recipes, you want to use everything that you can. So don’t throw out those pumpkin seeds! Pumpkin seeds are a good nutritional source, containing protein, zinc, magnesium, as well as a significant amount of iron. 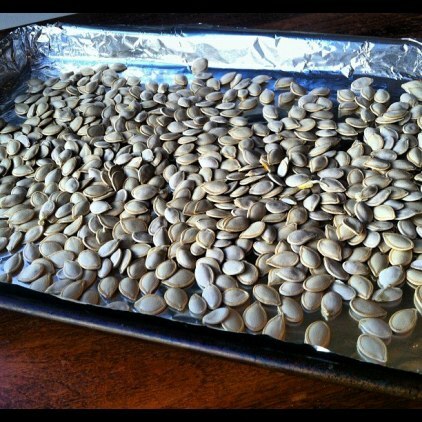 The kids and I did our pumpkin seeds roasted in the oven yesterday. What was funny to me is that my daughter absolutely loved this activity. The guts of a pumpkin are so slimy and stringy, and while she is usually grossed out by anything like that, this was cooking, so she loved it! On the other hand, my son, who loves to get his hands on all things dirty and gross (including cradling a centipede or worm lovingly in his hands as he brings it to me so I can see it!) didn’t want to touch the messy pumpkin. Kids are so funny! Now, there’s no real technique to removing the seeds, but my daughter was doing a pretty good job by sort of “squeezing” them so they popped free from the stringy stuff. If they’re not completely clean, don’t worry about it. Once you put all the ingredients on them, they are going to taste good. I let mine sit out for a few hours to dry so they would be good and crisy. In fact, after we removed the seeds, I went ahead and cut up the pumpkin,roasted it, let it cool thoroughly, and then pureed it. Then we roasted the seeds. We had them for an afternoon snack. We were able to get about a cup of seeds out of two small pumpkins. In a bowl, combine all ingredients and spread on a lined baking sheet. Store in an airtight container, if they don’t all get eaten! 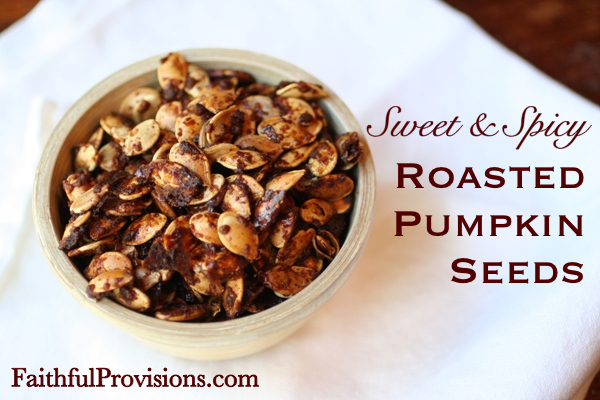 Do you roast pumpkin seeds? How do you do yours? 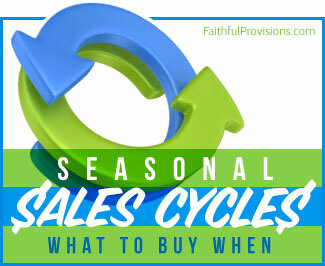 What kind of seasonings do you use, if any? 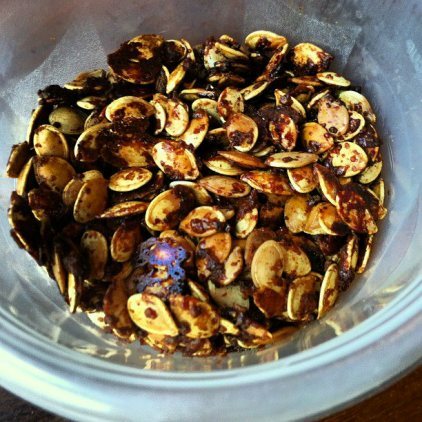 I love roasted pumpkin seeds! Thanks for the recipe. 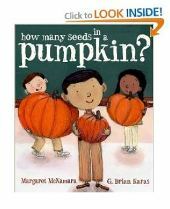 Seeds from smaller pumpkins aren’t as “woody” as those from large pumpkins.